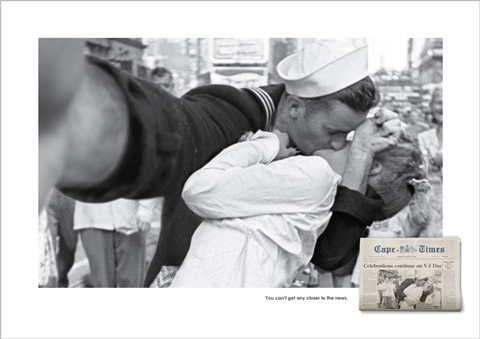 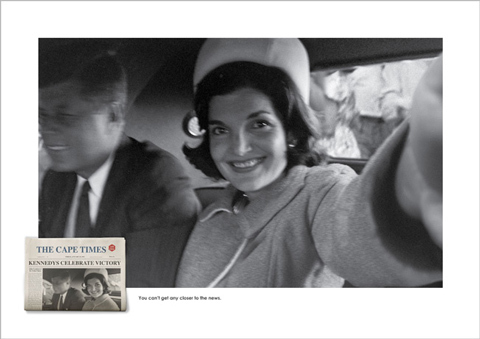 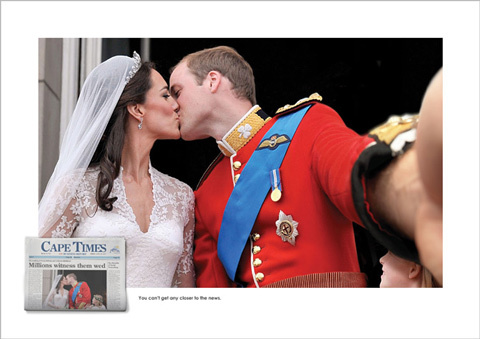 South African newspaper the Cape Times recently launched a clever advertising campaign that went viral, transforming iconic photographs into modern day “selfies.” Famous events are manipulated to appear to be taken at arm’s length, causing us to feel even more in the middle of the action. 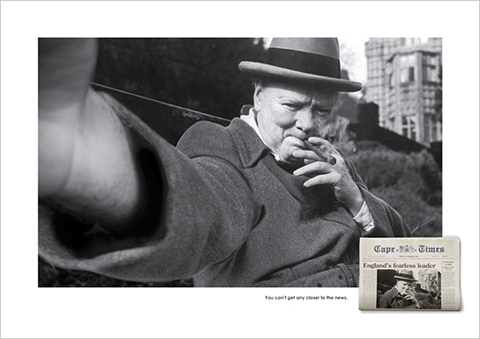 From Prince William and Kate Middleton catching themselves kissing to Winston Churchill snapping himself on a smoke break, the advertising is a fun, contemporary twist on journalistic history. 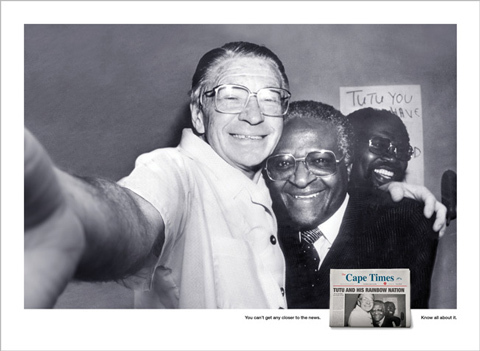 With the tagline, “You can’t get any closer to the news”, the Cape Times campaign is a perfectly playful blend of then and now.